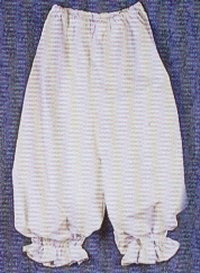 Sturdy poly-cotton bloomers with elastic waist and cuffs. Knees are edges in gathered ruffles. Available white only in medium or large.